All that salt and sand that helped keep traffic moving during winter storms now will cause traffic delays Tuesday and Wednesday along Interstate 470 in Topeka. The left lane will be closed for traffic headed west on the interstate, from the Kansas Turnpike’s toll plaza in southern Topeka to the interstate’s interchange with Interstate 70 in western Topeka. 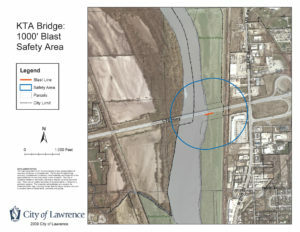 The closure, described as intermittent by the Kansas Department of Transportation, is set for 9 a.m. to 3:30 p.m. both Tuesday and Wednesday. Crews intend to sweep the barrier walls on bridges, starting for traffic headed west and then switching to the other side, for traffic headed east. Drivers should expect minor delays and should be alert for people in the work zones, said Kimberly Qualls, a department spokeswoman.